AlphaSod was established in 2004 with the aim of producing and supplying natural turf. 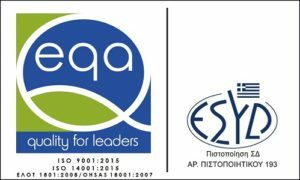 AlphaSod is a Greek company featured among the largest producers of ready-made natural turf in Greece. Established in 2004, the company has been producing high-quality turfgrass and has been steadily growing, always staying focused on and guided by the main principles and values set from the beginning. Beneath AlphaSod lies the commitment and love of its people, an essential element for the excellent quality it offers. 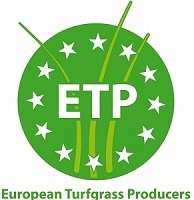 An equally important element is our deep expertise, resulting from years of exploration and research on producing and selecting the most suitable turfgrass varieties. Long experience has contributed to the selection of turfgrass varieties that adapt ideally to any place across Greece. The heart of AlphaSod beats in Makrakomi, in the Fthiotida prefecture, where the company’s modern production site is located; this strategic point enables the company to supply natural turf to places all over Greece as well as the wider Balkan area. There we cultivate both thermophilic and psychrophilic varieties to produce the wide range of turfgrass offered by AlphaSod. Harvesting turfgrass relies on state-of-the-art machine equipment which ensures its premium quality and enables its cutting in different roll sizes (standard rolls, big rolls) as well as in slabs. Always focused on fulfilling the needs of its customers, AlphaSod has an after sales service department which consists of experienced and highly-skilled personnel.